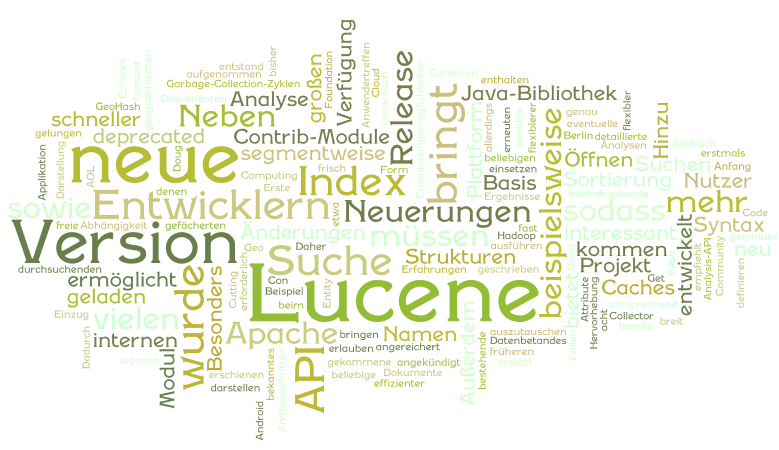 After last week's Hadoop Get Together heise published an in-depth article on the changes and improvements that come with the latest Lucene 2.9 release. Thanks to Simon Willnauer for helping me write this article and patiently explaining several new features. Thanks also to Uwe Schindler for kindly proof-reading the article before it was sent out to Heise.